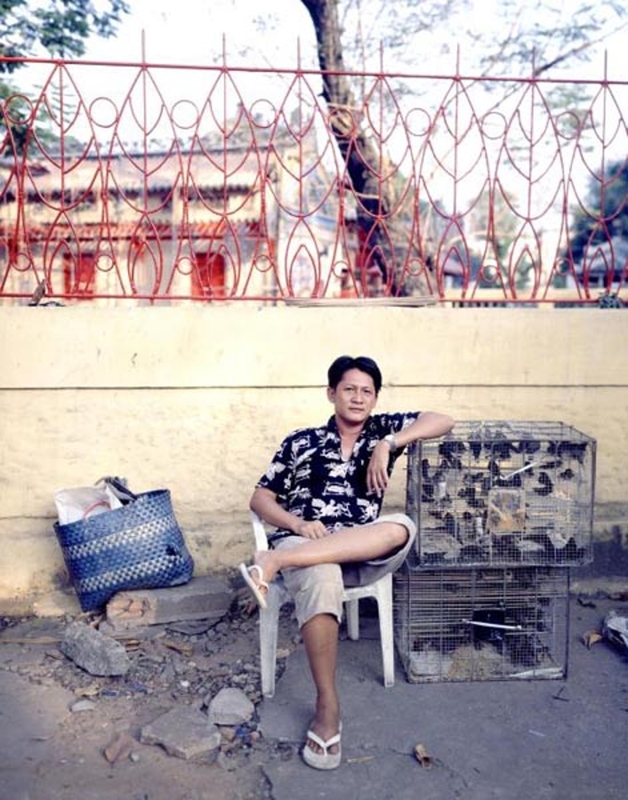 Khoi Huu Nguyen uses a typological approach in his series Street Vendors of Ho Chi Minh City (2004-2010). Street vendors in Vietnam encompass the middle and lower classes, ranging from teenagers with summer jobs to multi-generational family businesses. 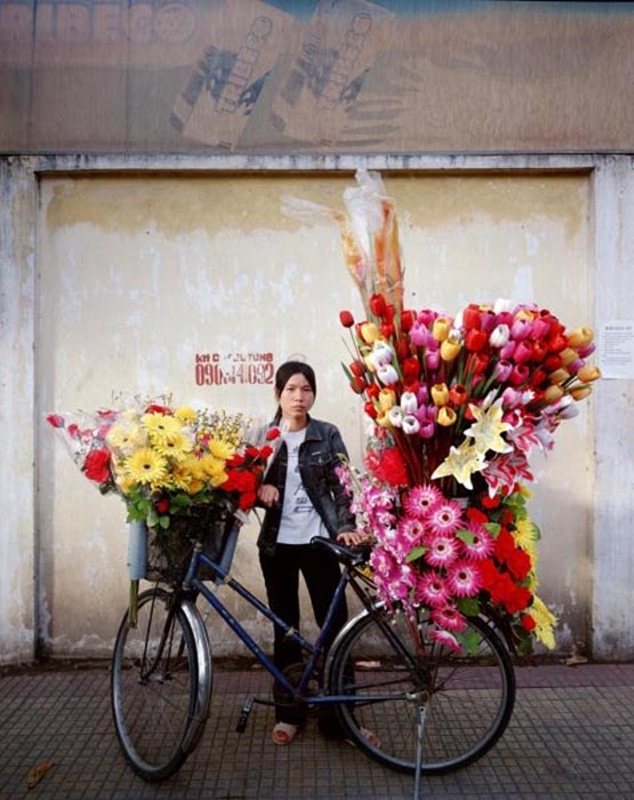 In 1986, the government of Vietnam adopted the Doi Moi (New World) Doctrine, permitting private enterprise a greater degree of autonomy and leading to an explosion in growth of small businesses and street vendors. 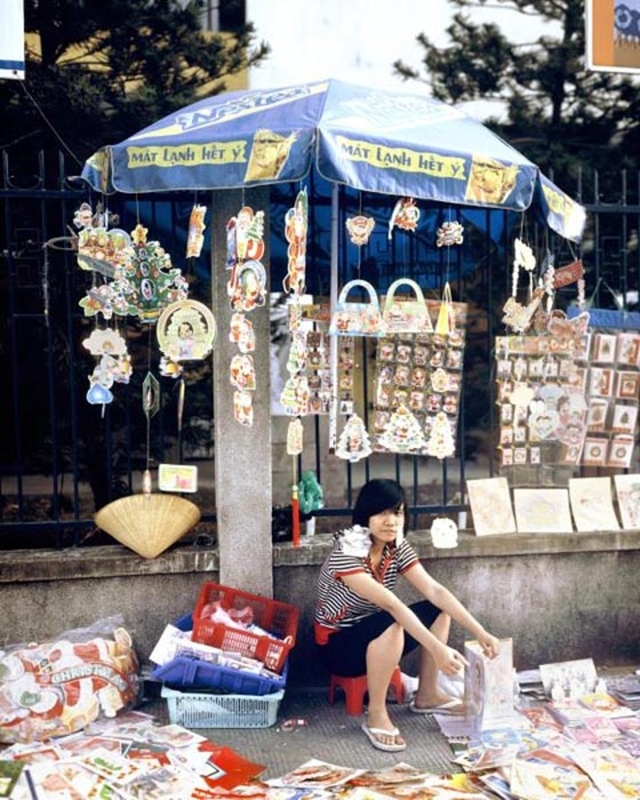 The wide range of products the vendors sell are determined by economic demand which, in turn, is influenced by the tension between eastern and western cultures. 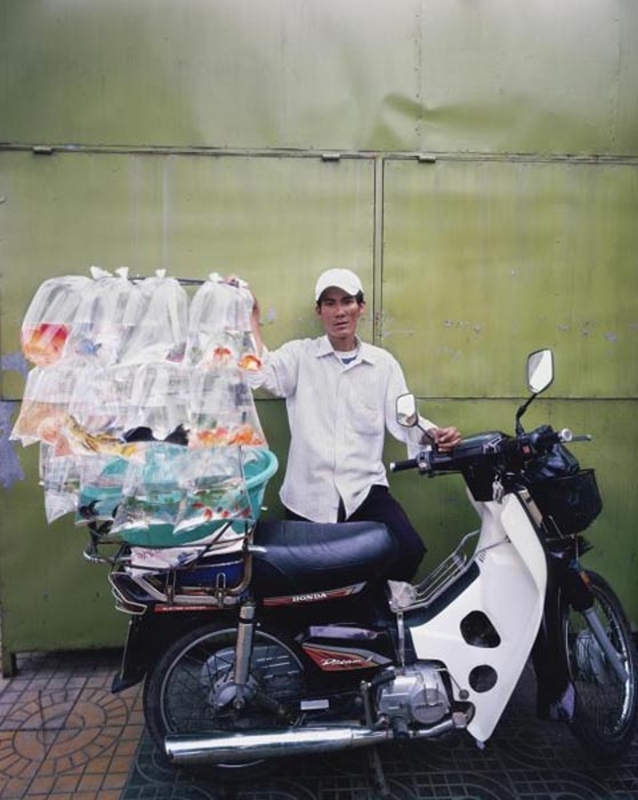 Ho Chi Minh City is the largest and most westernized city in Vietnam and many vendors are able to adapt and change with economic demand, while others, such as ice vendors, are quickly becoming obsolete. 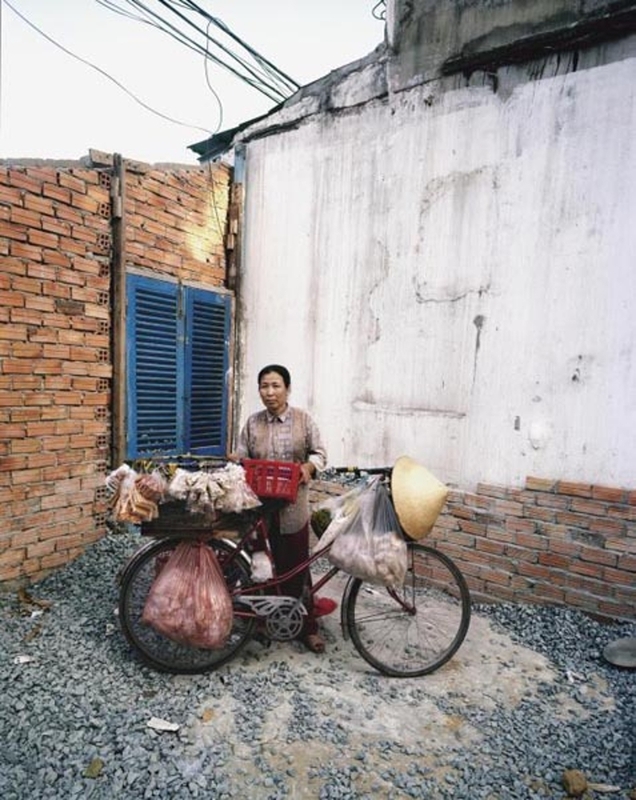 Nguyen’s portraits, taken with a view camera and using slower shutter speeds, document this varied and vibrant culture of street vendors as the profession continually evolves. Khoi Huu Nguyen completed a B.S. (1996), M.S. (1999), and Ph.D. (2002) in Mechanical and Aerospace Engineering at the University of California, Irvine. 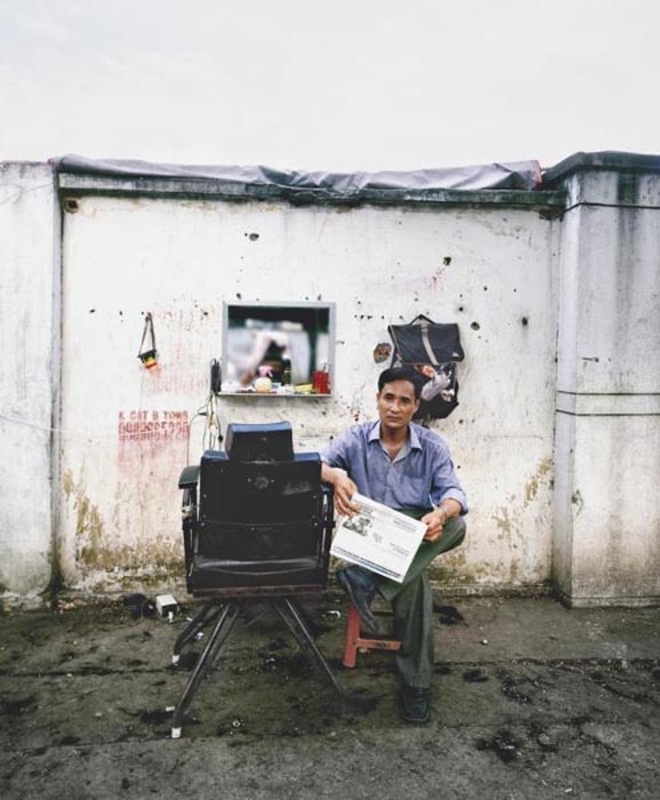 In 2006 he exhibited in the Photography Annual at the Irvine Fine Arts Center, Irvine, CA. Nguyen lives in Chicago, IL.